Here we present a description of the systems and components so you can have a better idea of our interfaces, and where our responsibility and commitment to security lies. 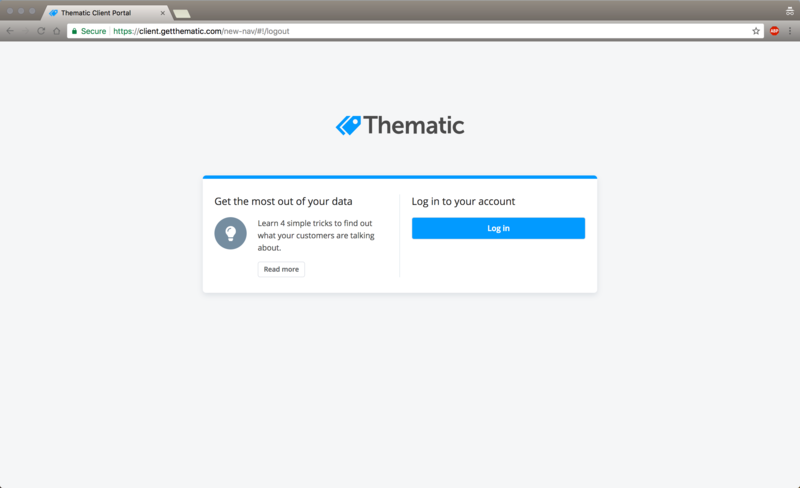 This is the only way to access Thematic's analytic tools. The client will never require you to leave the website. Your data can only be uploaded and downloaded using the client portal, never from anywhere else. Download your data from analytic tools or upload your data on the upload data page.